A beautiful wall hanging by Baker Lake artist Irene Avaalaaqiaq. Centerpiece is a transformation figure, surrounded by owls and sea goddesses. Spirit faces adorn the border. 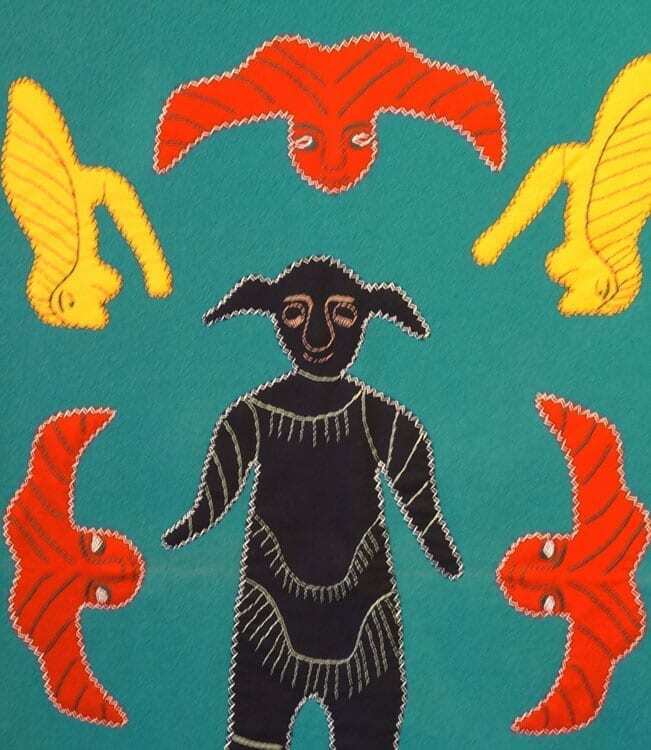 Aavaalaqiaq is a renowned artist with a highly recognizable style. 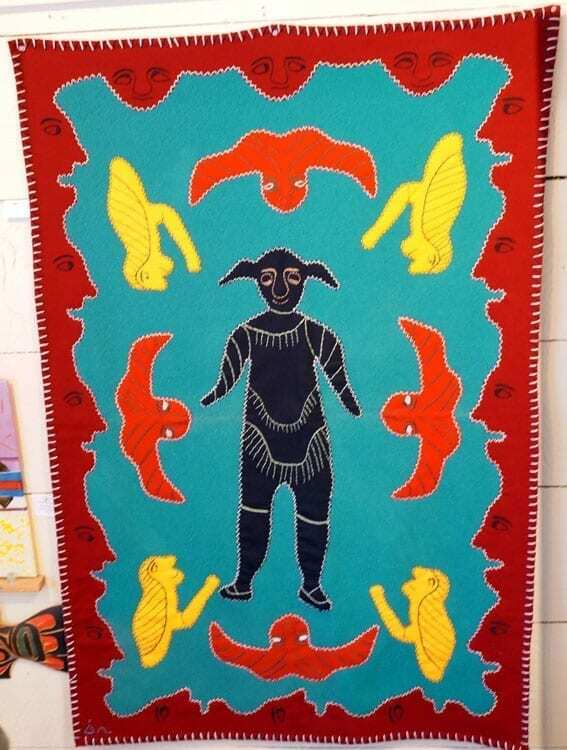 Here applique wall hangings use bright colors in wonderful combinations. The spirit heads around the perimeter are a signature design element of hers. Note that the colors are not as bright in real life as they are in the photos. Please call 207 967-2122 to discuss, if you are interested in this piece.